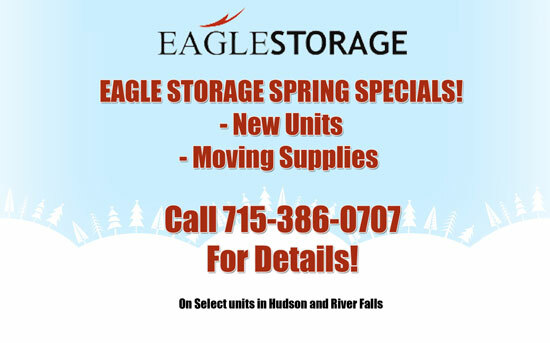 When your house is a mess get a storage unit in Hudson WI or Somerset WI with Eagle Storage! Home: Is your home being taken over by junk and stuff? Get a storage unit with Eagle Storage. Basement: If you can't walk around in your basement it might be time for a storage unit. House: After all your house is where you live, if you have things you want to keep but, lack the storage call us we can get you a unit for your items. Garage: We all like tools but, when was the last time you used the drill press or huge air compressor? If you want to find a place to store things in the garage that don't fit we have space to help you with your storage needs.